...trying to make a respectable bird (HA!). Actually, I am working on my row of a row robin I am doing. Here is the row I am adding onto. 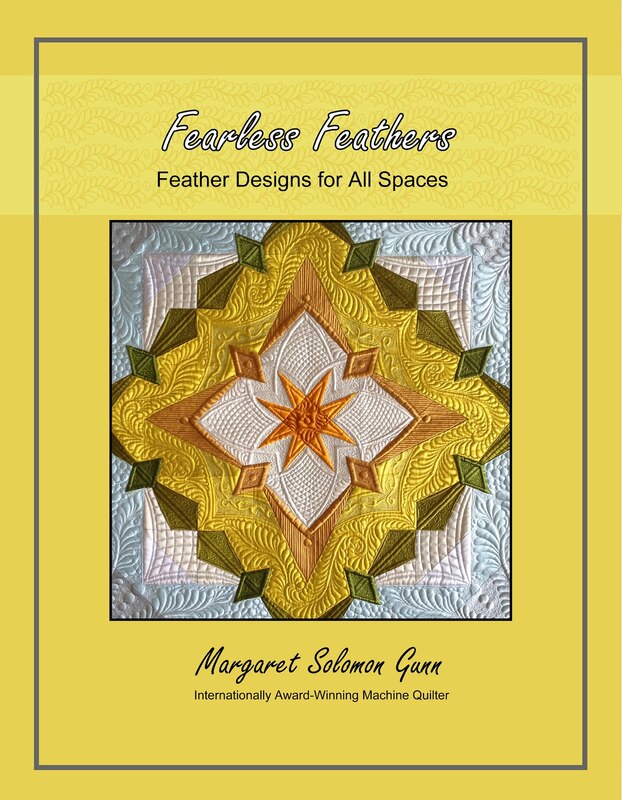 It's blue and yellow batiks, and she wants a design that is light, airy and possibly with movement. I designed a curved design with flying geese, ocean-ish below (with yellow fish) and white background above (her request) with a bird in the air. I am so disgusted with my birds (OK, this is try 2 at a decent PP bird). I got so frustrated that I decided to color this one with a sharpie! It's so hard to match the seams up - it is only about 3.5" square. I am currently back brainstorming my design and awaiting the arrival of some pale turquoise fabric I ordered last week before I sew further. ...and lastly, I bit the bullet. Got off the fense, so to speak. Sent in my application for the Maine State Quilt Show that is this summer. Part of me thinks I must be totally nuts, the other part knows that I am. I am entering Sophie's quilt in the judged division. 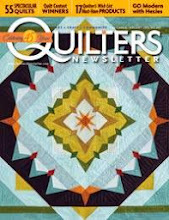 I decided after watching the slideshow of the quilts from last year that I could handle this! Kate's hosting another round of ALQS. 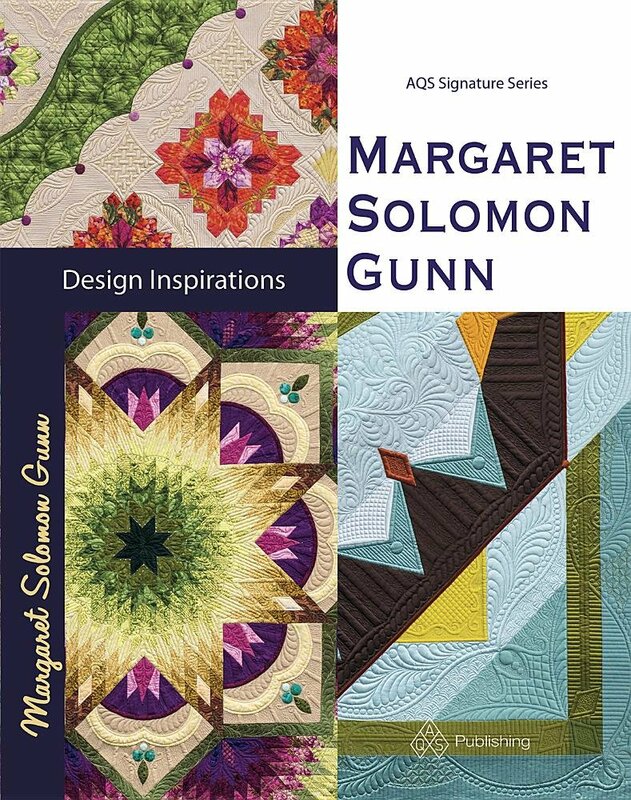 It's geared towards more artsy quilts than purely traditional. 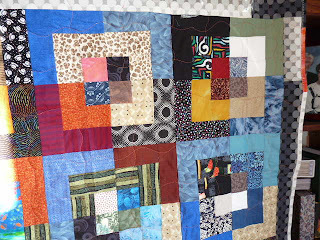 You ought to go to the swap blog and have a look at what really qualifies as an Art quilt before you say that this is not for you. I think you will be surprised. All my thanks to the fantastic ladies (Alicia, Kathy, Marlene, Rita, Gina, Alicia and Toni) and one gent (John) that made these nine blocks. They were a part of the SFRR3. 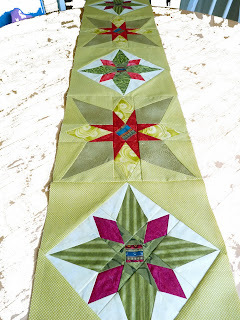 This quilt is one of seven I am making from SFRR3 donated blocks...the fourth one so far. My SIL gave me this pink cow flannel, and until now, I didn't have anything in mind for it. 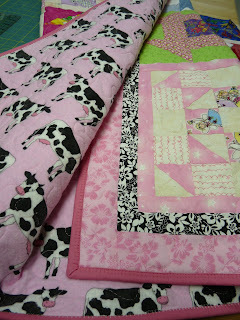 To coordinate the front with the backing, I added the black and white and pink borders to the block set. I just LOVE it finished, and hope a little girl will too. 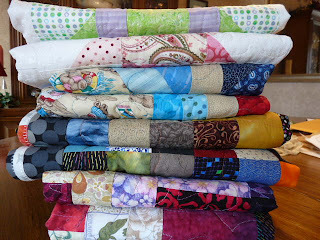 Here's my most recent little stack of completed Project Linus donation quilts. It looks bigger than it really is - it's only 3 quilts, each about 40" x 55". 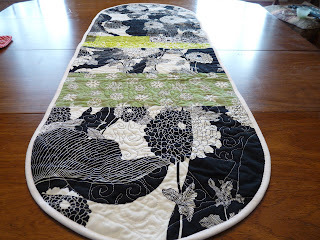 This one must be my favorite quilt that I have had the pleasure of doing in quite sometime. I have tried 3 times to get a great picture, and have given up. These are 12 of the nearly 70 blocks donated as a part of this session's Spring Fling Round Robin. Participants were asked to send two 12" patch or applique blocks as compensation for me mailing 26 packages in order to keep the swap anonymous. They sent one block for a girl's quilt and one for a boy's. There were a handfull of wonderful individuals that sent more than two blocks. These were done by Tami, Jeanne, Wendy, Solidia, Trish, Liliane, and Julie (hope I didn't leave anyone out there!!). Out of my massive stack of blocks, I pulled twelve star blocks. 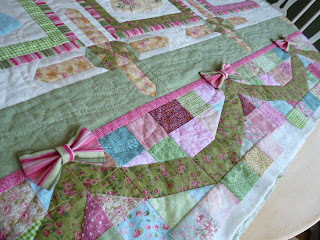 I have named this quilt "Wish upon a Star", and it is most definitely for a girl. 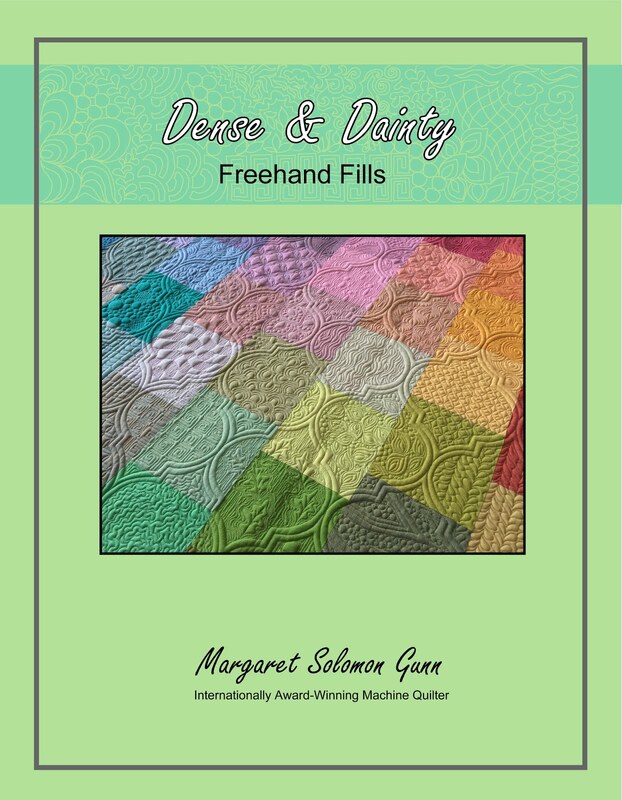 It has four blocks in it made from Fairy Frosts, which have the most luscious sheen & shimmer. 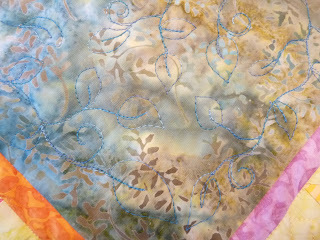 I meander quilted it in a white rayon thread, which also adds to the shimmer. The star block in the center that has the rocket was supposed to be for a boy's quilt, but I just couldn't resist using it here (plus I needed one more star!). 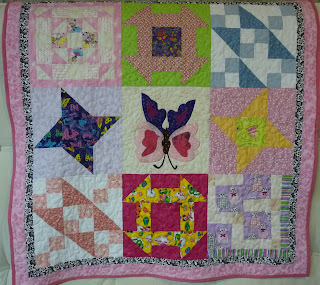 It is just to remind whichever girl receives this quilt that anything is possible for her (I can say this because I am a mechanical & aeronautical engineer by trade). I did this one (above) from my scrap bins, all except for the teddy bear novelty fabric at the centers (and a wide stripe on the backing). 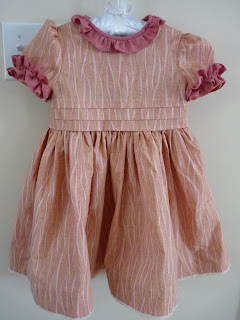 It's colorful & fun and appropriate for either gender, as I avoided all florally fabrics. 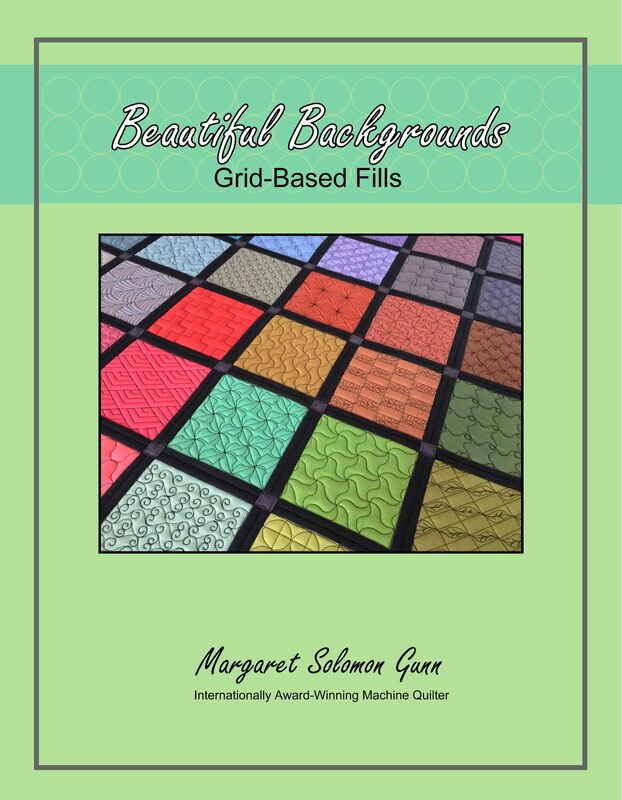 The backing & binding are mostly this bold plaid. 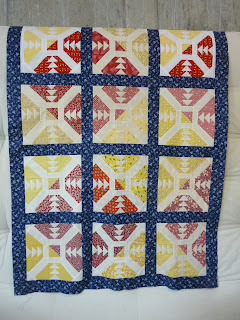 Here's my last quilt. 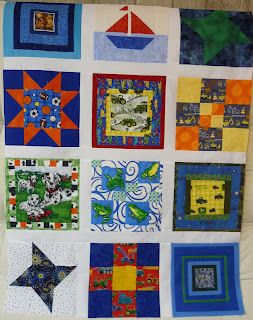 Kate (from the SFRR3 swap too), sent 24 donation blocks (12 for girl and 12 for boy). 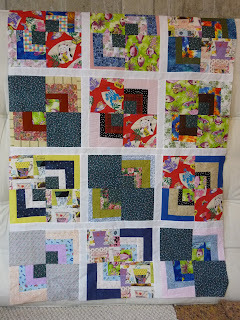 I showed the girl quilt last week over on the swap's blog, but have since finished up the other quilt. It's got lots of black, orange, blue and green fabrics. 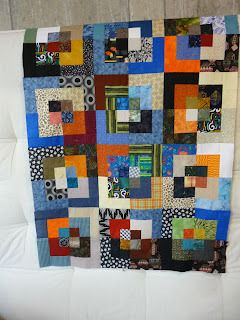 I added a border of this rather bold and wild black/grey/white dot, and quilted it in orange wavey lines. The backing is also that dot. I was given about 4 yards of this stuff, and really never knew what I would possibly do with it (it's not my favorite). The binding is also this dot fabric, with a few insertions of bright orange just for color. 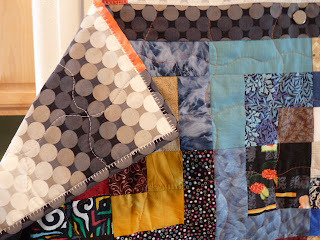 Many thanks, gals, your blocks are fantastic, and it was so much fun to make quilts with them! 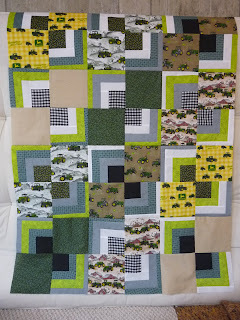 I have 3 more quilts in progress or planning stages with blocks from this swap. Aside from buying 20 fat quarters and nearly 6 yards of fabric at 50% off, this week has been mostly about work. Yuk! My college class was of a demanding nature this week - too much prep for it, nearly 1-2 hours daily, which was eating into my sewing time. Fortunately, the next 5 weeks ought to be smooth sailing until those little cherubs take their final. 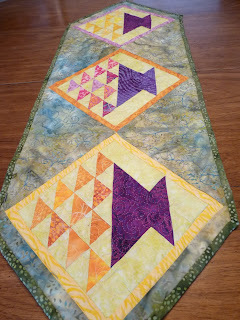 I have been kind of saying that I did not want to make more flimsies until I quilt & finish the ones I have made. This is largely because i have a couple quilts in mind to make, but refust to start one in good conscience while many are unfinished. As we all know I have the attention span of a flea or a gnat, and a couple days in the last 2 weeks, I decided I wanted to slim down my strip box & my stash of ridiculous novelties (most of which was passed on to me at Linus functions). So, I pulled some outlandish Japanese novelties (look closely!) and my all-width strips and went to town. 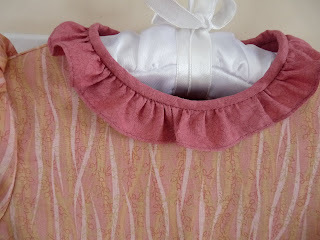 I also finished off this top, which I just love in red & purple. I didn't photograph it. I found a piece of lofty poly-bat that I am very happy to get rid of. Since the polybat is a pain to MQ, I just tied this one and added a scrappy red binding. It will work just fine for a Linus donation. 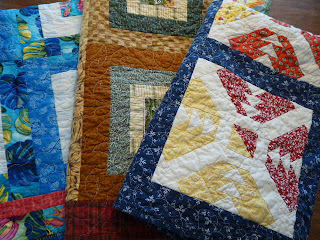 Here are three more that have been finished up (machine quilted & bound) within the last few weeks. The right one is the broken heart blocks from the birthday block swap, while the others were shown as flimsies a few weeks ago. 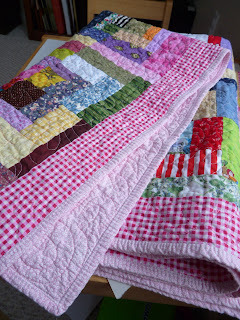 My 2009 count for Project Linus quilts to donate is up to 17 finished! 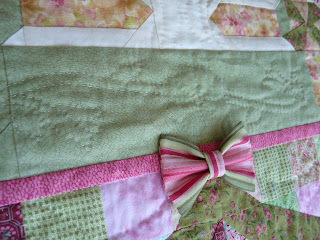 In the evenings, most days I find a little hand quilting time. 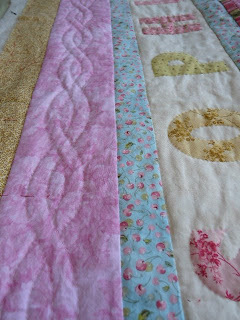 I am trying desperately to finish Sophie's quilt before it's too warm to have it on my lap. The quilting is sooooo close to being done. I have made 16 little bows that I will hand stitch onto the tops of the swags. This is the region of the quilt that hangs down the bed so it shouldn't get abused too much if she's on the quilt. They are out of the striped (& slightly irridescent) Lakehouse Dry goods fabric I had hoped to use on the binding. Since the binding will have to be bias cut (I am scalloping the edge, despite swearing to never do this again!! ), I decided I didn't have quite enough. I have sadly been unable to find the print anywhere! So, on Tuesday's mega sale, I got 3/4 yard of a Kauffman Fusions that appears to match well. I'll know for sure when it arrives next week. 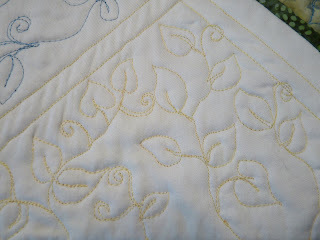 The last bit of hand quilting I am doing is outlining all of the yellow ribbons. It's about half done now, and I hope to finish this during the next week. I'm ready to bind!! 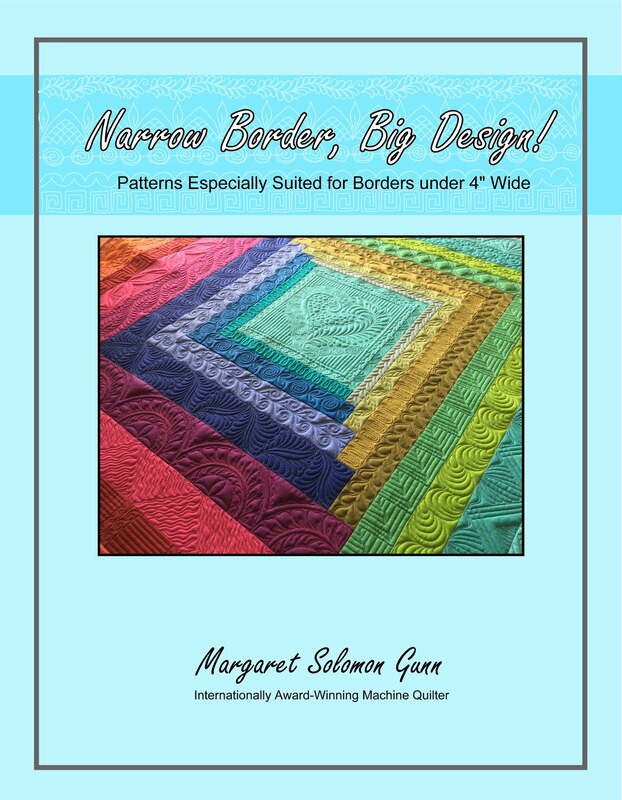 Lastly, I have been mulling over what I may do for my 1st border on my SFRR3 center. 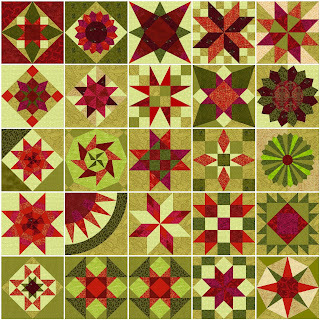 I can't tell you which block I have, but I can say I have been considering doing a traditional pickles & rings border (like you'd see on a wedding-ring quilt). All fabrics are 50% today. FQ's for $1.25. This sale is incredible, and there is a lot of goodies. 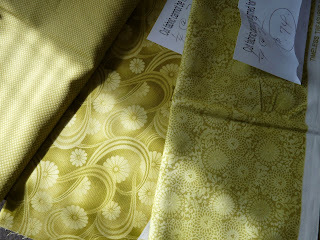 ...and so goes that alleged fabric diet (sigh) - my stash was awaiting a little updating anyhow. This post doesn't need too many words. My darling 2-1/2 year old needs a new dress for Easter. 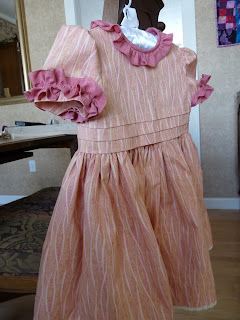 I'm not into pastel, frilly (aka typical Easter dresses), and I want something that she will wear until we need woolens again. The season of short sleeved clothing is so short here in Maine. She looks splendid in the color coral...not really peach, but a tad deeper & pinker. 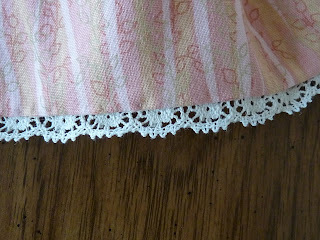 This fabric is from the Buggy Barn In the Pink II line. 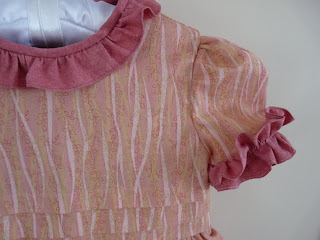 I wanted a slightly different style from others I have made - smocked variety. The neck is lovely. My rolled-hem foot does such a nice job. Sorry, it's not my skill alone! You didn't actually think I was going to show the front, did you?! If you remember, I signed up for a row robin a couple of weeks ago (here is a flickr link for those interested). We are supposed to get our first row out by April 1st. There are 5 other gals doing a row that will be added to this. Every six weeks, a row must be completed. I go into this totally blind - I don't know of a single swapper in my group. Some don't even have blogs. It was down to signing up for this or the DQS6, and since I really have grave reservations about that swap, I chose this. It'll be fun & different. So here's my row...I have kept enough of these fabrics should I opt to make another row just like this. 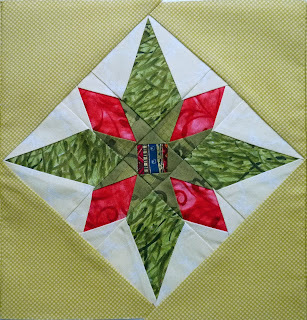 At this juncture, I don't have 6 hours to putter away on mindless and messy paper piecing of five lowly star blocks so it will have to wait for another rainy day. So you are not into baby-poo green?... I found that this color is very hard to photograph. It's really very pretty, almost golden toned. I love it. My theme is Christmas Stars. 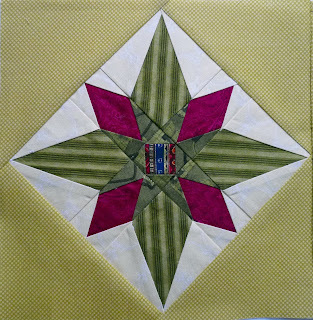 I want the most creative stars possible, done in five 9" finished squares. I have asked that the other colors be shades of red, burgundy, magenta, and all shades of greens that lean towards the yellow-green or olive tones (no forest or kelly green please). I prefer each row to have more than one star design if possible, and different colorations of the stars, as I have done. 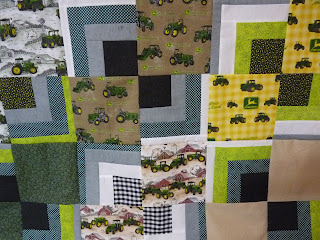 I like that "scrappy" look for a quilt that only comes from using a number of tones of the same color. I like all patterns of fabric, so long as it is good fabric (ie, nothing from Walmart or otherwise feels like burlap), and appreciate when good care is taken to ensure that stripes are symmetrically aligned. I really love a fabric with a shimmer such as Michael Miller's Fairy Frosts, or ones with a gold imprinting (no silver please). I used a couple with gold leafing, and they look fantastic. I designed them using EQ6. That lighter fabric in the next shot is in actuality a bit more yellowey, but it didn't photograph that way. And yes, the red part of this star is a magenta paisley. I love the look of three of these blocks being on point, and I encourage you to try something creative like this too, if you want. I wasted some time yesterday morning while I was home with 2 sick kids, pulling some of my favorite star blocks from EQ6. I colored them in a way that may be indicative of my preferred fabrics. Maybe you can find something in this mix of stars that suits your fancy. I hope so! They range from rather basic stars to dresden plates, to a New York Beauty. Please try not to repeat stars that others have done if possible. Also, please no embroidery, yo-yos or embellishments. I have three young kids and they can be rough onsuch things. Additionally, I'm not at all a fan of raw-edge applique OR machine applique. 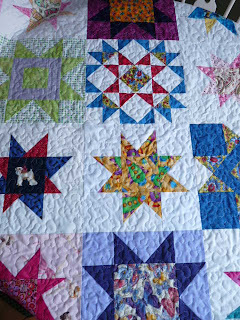 I really prefer this quilt to be all pieced stars, done in Christmassy colors. 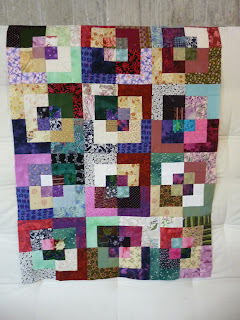 ...and if this is not enough (phew), I may even take the 9" blocks apart after receiving all the rows (not until November though), jumble them up, sash them, and make my quilt thataway. Who knows! Whatever happens, I thank you for working on this quilt, and for the care and caution and joy you will put into it. 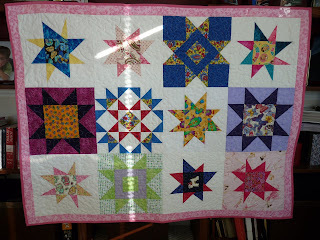 As hostess of the Four Seasons Quilt Swap, I knew that a quilt was coming, as I have all others, but I had no idea what I was getting. I think I even forgot that I'd requested a table piece! 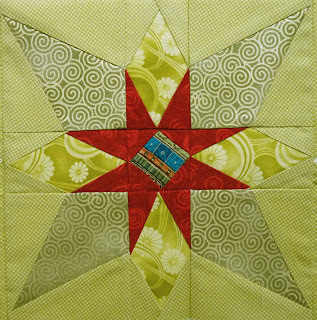 Gina made this as a part of the Monochromatic challenge of this swap - a slight variation I devised for this session to make quilters try something different. She chose (or perhaps I did, I have since forgotten!) the winter season to go with the purple color. I have it poised atop my favorite antique alongside a couple Easter decorations. Yes, spring IS coming, someday! It's marvelous! She entitled it Ice Crystals. 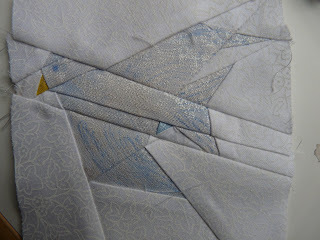 The quilting is in a metallic thread, which I rarely bother with because I end up pulling out more threads and hairs from my head out of frustration. 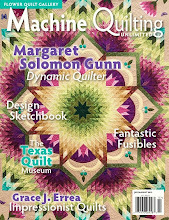 I thought I had a closeup of the quilting, but I guess the camera ate it. Despite this being a part of my new and improved "Spring" dining room ensemble, it does resemble snow flakes very nicely. And since our yard still looks like this, I think it is appropriate!! 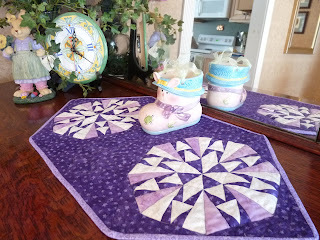 It is a great size for a table topper - not big so that it has to go on my dining room table. I love how it does not smother my antique buffet, but allows the top to show. Gina's done a fantastic job. Many, many thanks!! Oh, and the above shot shows it along with a piece Kate made last year. Do you see a trend? ?...I LOVE purple. 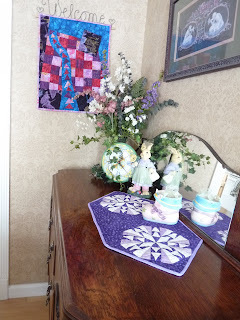 Here is my other spring decoration addition "Spring Baskets", and one of my NY's resolutions in action (get table runners for all seasons made this year). It's simple in design, but bright and utilizes colors I don't often gravitate towards. It is all from batiks too. 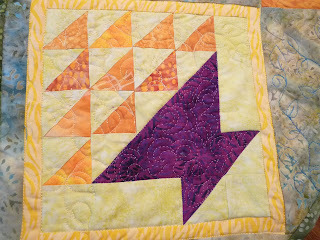 Here's a closeup of the leafy quilting in the larger triangles. I just love it, about as much as much as I love working with King Tut threads. ...a glimpse from the back. I couldn't rationalize using batiks on the back, so it is just ivory cotton. This is the leafy pattern in the basket area. ...and a pic from the front of the same area. For the most part, I am pleased. I want to rework 3 of the corners to improve them, but that can be done with time. Happy Spring, wherever you are! 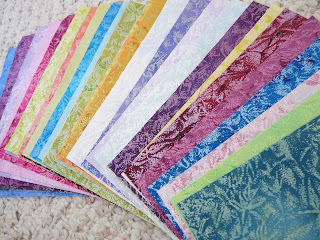 First off, a HUGE thanks to Miss Emma for this scrumptious set of 40 6" squares - all Fairy Frosts! It was part of her 1km giveaway, that is one kilometer of fabric in her stash. And not surprisingly, with that kind of stash, all 40 squares are different!! I love them, and am already spying a project or two to use some of them on. 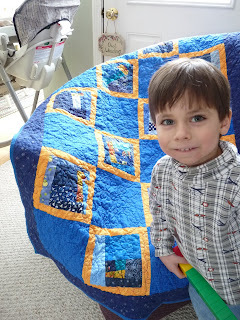 Here's a few of the Project Linus quilts that I have finished recently. 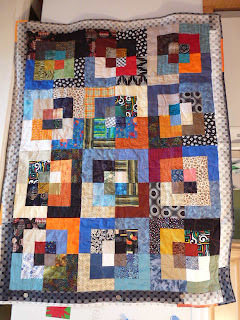 I showed this flimsy last week, but here is the finished and unwashed quilt. The back is a wild tropical print of banana leaves. Kid #2 wanted to pose with this one. Being a Univ Alabama grad, I still to this day can hardly stomach blue & orange together (UGH - Auburn Univ colors! ), but that is what I chose so I hope someone appreciates it. I used up some bolder prints, some Kaffee Fasset here. I don't love that tan sashing, but it was free so there. The back is a sweet floral I had which wraps all colors on the front together. 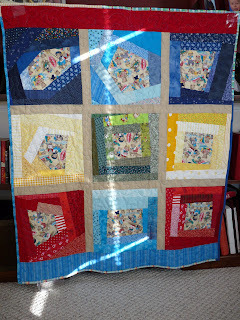 And lastly, the peppermint Patty quilt...or my version of scrappy bento boxes. 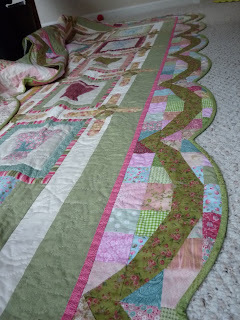 It quilted and washed up beautifully. My March birthday block swap blocks are now done. Forgive me, I have no idea who specifically they are for. This one is supposed to have a Hawaiian theme. 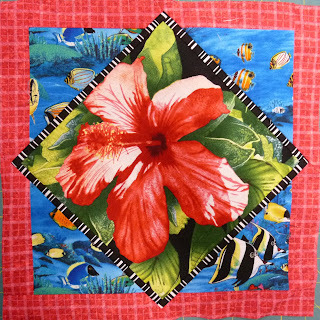 It is kind of simple, but the hibiscus and tropical fish ought to make it Hawaiian enough. This one took me all afternoon, but I like the end result. The recipient is kind of particular in her fabric likes/dislikes, so I hope it passes muster. If not, she can just send it back and I will give it a good home :-) She wanted anykind of block design that is on a Kona white with some version of "geese". And we have finally come to the last set of works for the past week or so - a few completed flimsies. I think I have six flimsies in my pile now, all destined for Project Linus. This uses the remaining Broken Heart blocks that I got in the birthday block swap. These were ALL different sizes ranging from 10" to 10.5". 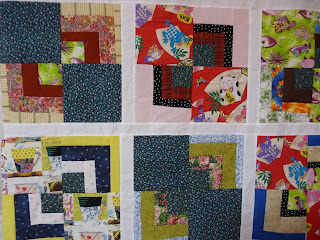 Many were "misfit" blocks that were made and then remade since the size was off. They were a bit of a pain to work with given the size fluctuations, but then. I even shimmed the 10" blocks (don't look too closely!!) so I could use them. 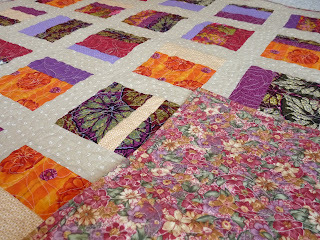 The last quilt I did with these blocks, I did not sash the blocks. It has a very different look. 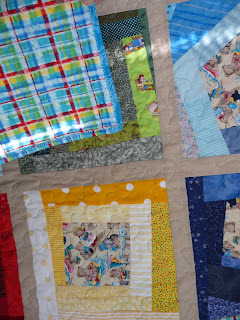 These last two are blocks donated from Kate. 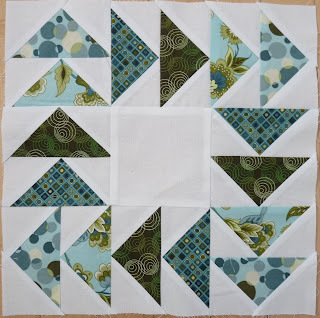 They are actually the two blocks that are a part of the Spring Fling Round Robin I am currently posting, but Kate decided to clean out her strip box, and she made 24! The participants of this swap are making 2 blocks - one girlish and one boyish, which I will make into Project Linus blankets. 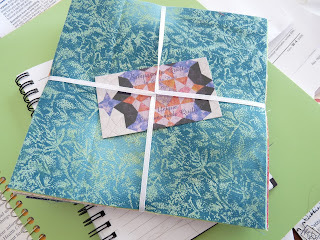 Their donations are in trade for me mailing their swap packages all over the world (all in the name of anonymity). 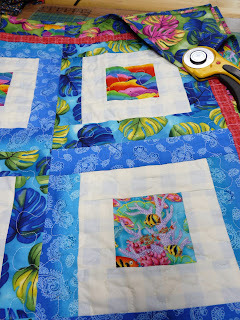 You really ought to take a look over there at that blog - the quilts that are started are awesome, and will only get better with the coming months. 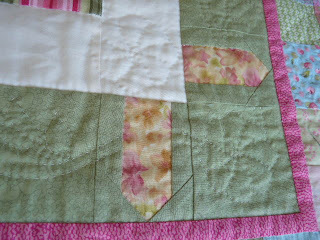 This one, with the pink and purple, is destined for a girl - probably even a teen given the unjuvenile-ness of this quilt. And this is the boy-ish version. Lots of black, blue and green. MANY thanks, Kate, they are invaluable to whoever will receive them. And I am most greatful for your gift.